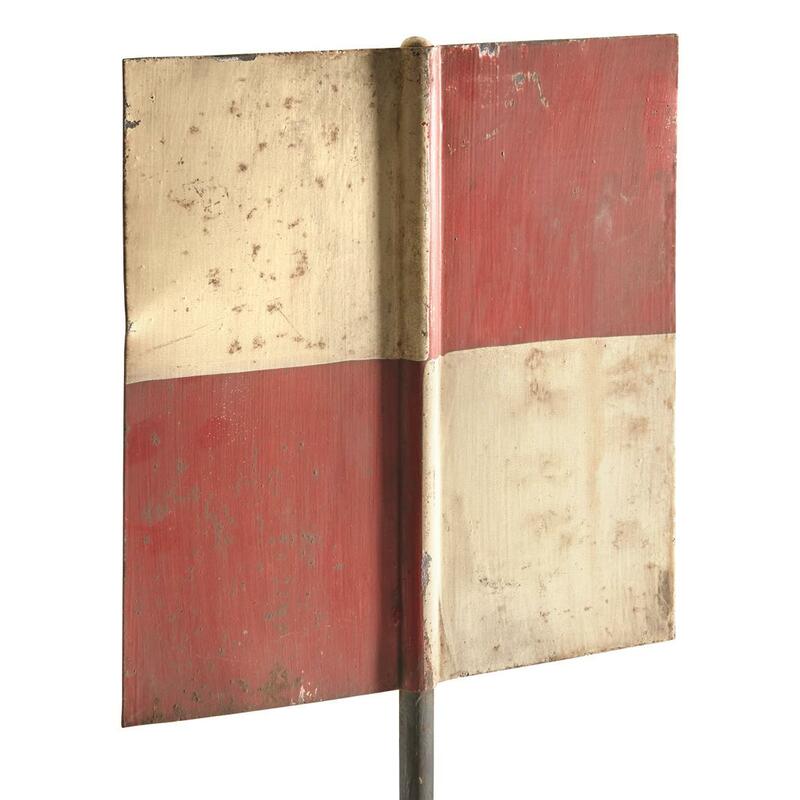 Mark your position for everyone to see with this Italian Military Marking Sign. 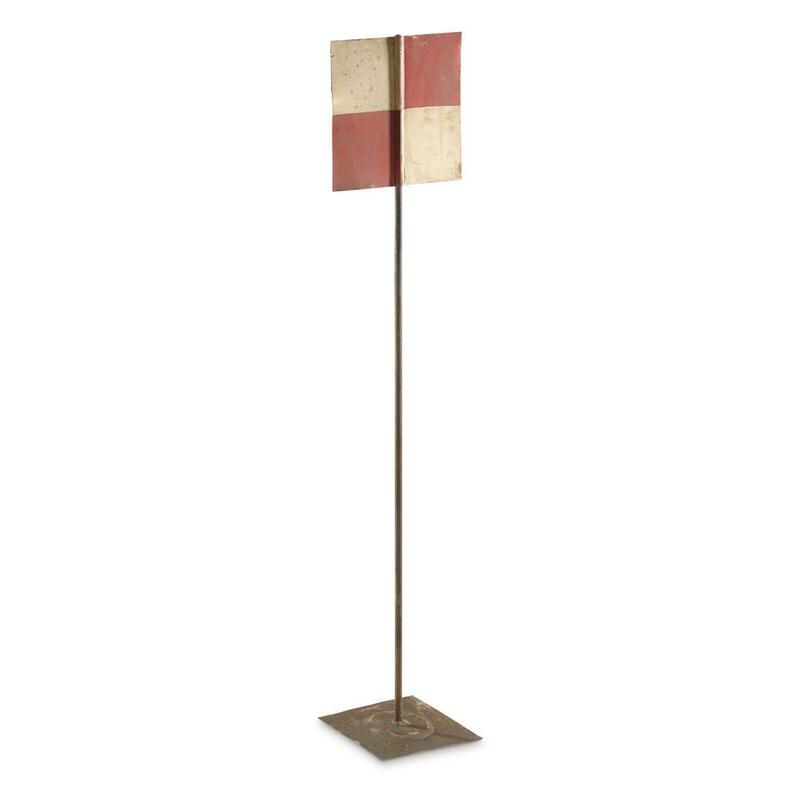 Alternating red and white squares may have once been used by a land surveyor team to get precision distance measurements. Ready for a new assignment marking the trail to your favorite stand or calling out any other hard-to-find spot. Sign Dimensions: 7.75" x 8"
Base Dimensions: 6" x 6"